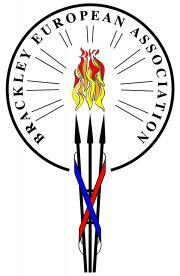 Brackley Town Council organise a variety of events throughout the year including Classic Cars in the Park, Community Carols and Christmas Lights switch-on. In addition the Council works with The Royal British Legion (Brackley Branch) to organise Armistice Day Commemorations and the Remembrance Day Parade and Service. The Town Council is pleased to support the many annual community events which are held within the town and organised by hard working local groups for the benefit and enjoyment of our community. Visit our Community What's On pages for details of up and coming events or visit our Face Book page.